Nubian Heritage and Shea Moisture, winning in the game? So Shea Moisture and Nubian Heritage is winning in the game. They just released a hair color product to rave reviews, including the art on the packaging. I feel like this and also the rave reviews and success of Curly Nikki's book Better than Good Hair are indicative of a shift in power as of late. WE can be successfully marketed to AS WE ARE, and not in a way that sells us a version of ourselves we can only "aspire to." It brings me joy, makes me smile, makes me believe we are getting a step closer to my whole "it's just hair" mantra. I love the energy. So is anyone going to try the hair color? 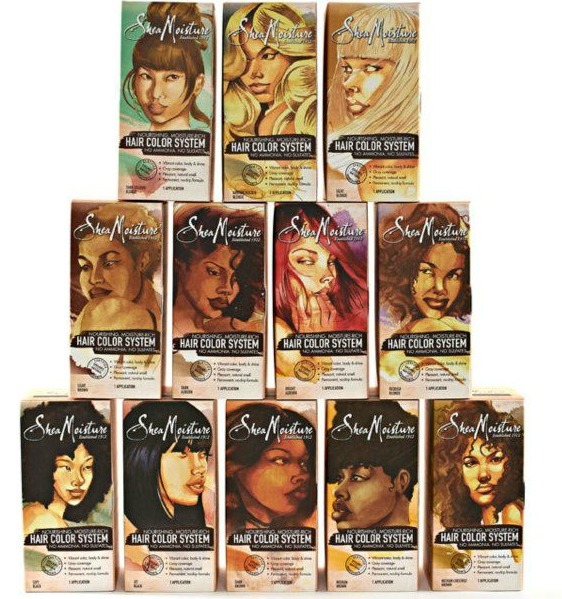 What are your favorite Shea Moisture/ Nubian Heritage products? They also make lotions and soaps. How do you like those? I mix tablespoons of the Shea Moisture Smoothie INTO THE WHOLE JAR of Shea Moisture Souffle. It's an excellent moisturizer and it gives your hair a high shine and a silky look! I apologize for not having the measurement for the amount of smoothie to mix (not to many) into the jar of souffle, but just mix it until the stickiness goes away or to your liking.